Arguably the most elegant of the Ordovician Russian trilobites. 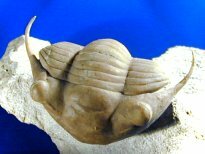 Exceedingly Rare and alien-looking Russian trilobite. 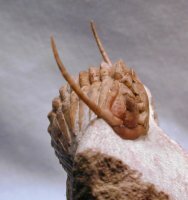 One if not the rarest of the Russian trilobites, a Lower Ordovician Lichid. 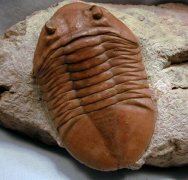 One of the rarest of the Russian trilobites. 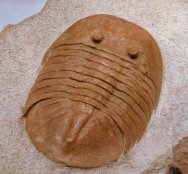 An Exceedingly Rare Harpetida Trilobite. 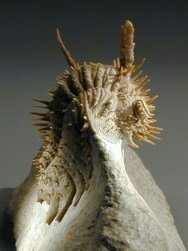 An exotic species exhibiting the prototypic effacement of the Illaenus genus, except with two impressive genal spines. 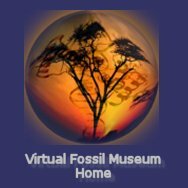 One of the most highly desired trilobites in the world. 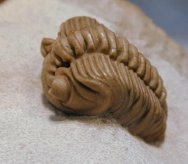 Very rare Asaphus Pseudobasilicus Russian trilobite.